Beverley Clarke, of the Loch Lomond Bat Group (LLBG), explains about a big leap the small group have made this year. 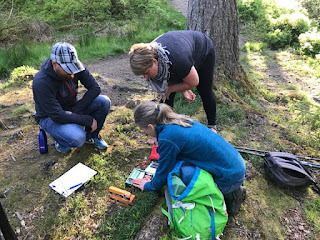 Lomond Bat Group members it was to be a hot and sticky venture into their first BCT/Forest Research ‘Putting UK Woodland Bats on the Map’ survey (PUKWBotM). Loch Lomond Bat Group are a very small hardy bunch of bat enthusiasts. 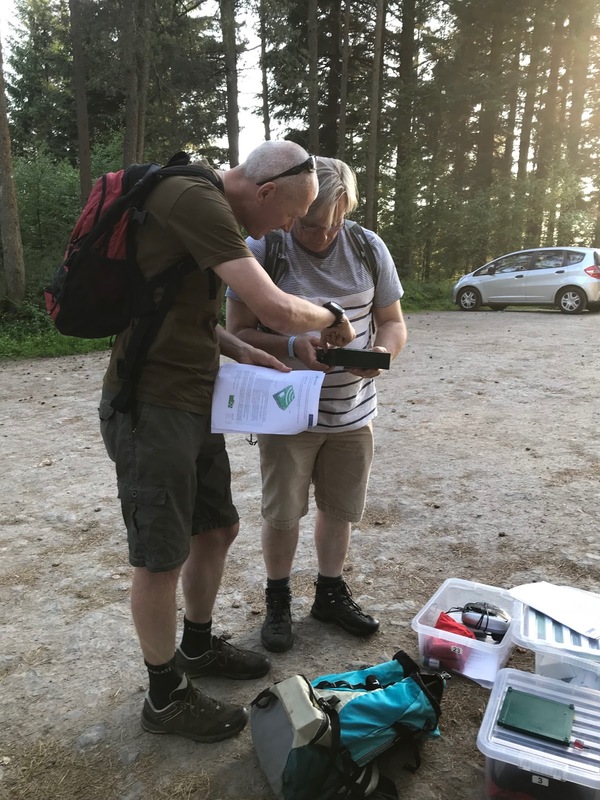 We have a core membership of just five or six people at any given point, who start each survey season with the hope that they will at least make it through our NBMP surveys and public events programme. Every year we endeavour to recruit some more hardy souls to join us, but usually by the time we get to Field Survey time, we are back to the Famous Five! So, it was quite a leap into the unknown for our wee bunch to take something of the magnitude of PUKWBotM. For context, we have likened it to a classroom full of kids making water bottle rockets in one week and sending one of their pupils to the moon on another week!! 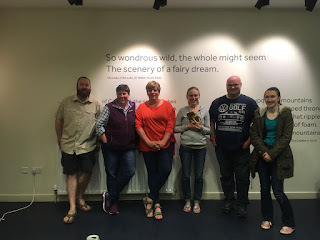 Maybe a slight over exaggeration, but when the Scottish Bat Officer Liz Ferrell organised the first training night to help familiarise us with the equipment we would using in the survey, that is what the learning curve felt like. In brief, for those that may not be aware, the survey involves the of testing three types of bat field monitoring equipment – standard SM2 detectors, low cost acoustic sensors called Audio Moths, and Pettersson Ultrasound Microphones (which connect to tablets). As well as setting out the static recording points, there is also a walking transect. The final aim is to gather data that can be used to calculate representative detection probabilities for different bat species in woodland, to inform the design of future woodland monitoring schemes. The two members who gleefully signed us up for the project last year, had to design the transect themselves in two types of woodland; broadleaf and plantation. This they dutifully did last year, and this year were sent through all the gadgets and gizmos, with our key member, Adam, signing his life away to a few thousand pounds worth of BCT equipment. We now had our ‘rockets’ to play with but had little idea how to launch them despite the extensive manuals and ‘idiot guides’ sent through by the Woodland Officer, Sonia Reveley from London. This is where the amazing Liz Ferrell, the new Scottish Bat Officer stepped in. Through her experience, knowledge, sheer will, enthusiasm, Doodle Polls and some backside kicking, she helped those that signed up to get trained, set up the first dates for the surveys and helped us set up the equipment for the first survey on a sticky midge filled Saturday night in a broadleaf woodland in the Trossachs, after having driven directly from Wick from her holiday! By the Monday night for the plantation survey, we were on our own! The mission to the moon had begun! With the first month’s surveys done, we have another four to go. We have already hit a couple of meteorite-like snags on our mission, but we are still learning. Maybe by the 3rd or 4th survey, we might make it all the way there! We are very proud, if a little foolish, to be the only bat group in Scotland attempting this survey, but if we can pull it off, it may seem like a small step for those bat conservationists out there, who do this on a regular basis, but for us it will be a great leap for little group of enthusiasts. Finally, a huge thank you to Liz for her help, support and dedication to our group and for getting us to the launch pad in time….to infinity and…. right enough of that! !